New. 0375414576 Ships from Tennessee, usually the same or next day. New. Audio Book 4 New audio cassettes. New in the shrinkwrap. Sealed. Enjoy this new audio cassette performance. New. 140003003X Ships from Tennessee, usually the same or next day. New. A blank page. IN STOCK NOW, despatched daily from the UK En Stock, tous les jours de expédiés du Royaume-Uni EN STOCK NOW, despachar diariamente desde el Reino Unido por correo aéreo IN STOCK NOW, auch wenn täglich aus dem Vereinigten Königreich per Luftpost. New. 0739317067 New in a box with original shrink wrap. 6 CD's. 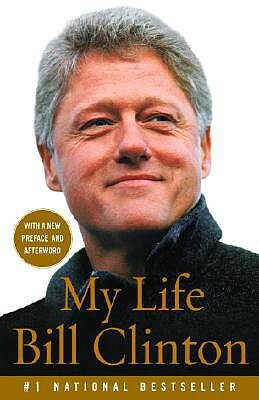 Bill Clinton's book not only details his life, but gives fascinating insights into what was taking place behind the scenes in his Presidency. I would have given 5 stars, but President's Clinton's biases are evident in some passages. Overall this is an excellent book which those who remain interested in Bill Clinton ought add to their libraries. Even the people that hate Bill Clinton love the book. A must read for people that follow events in history.